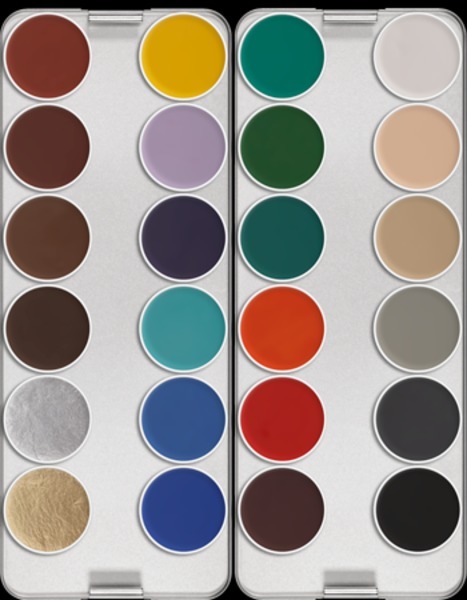 Aquacolor is available in an extensive variety of colors, which include skin and vivid shades. 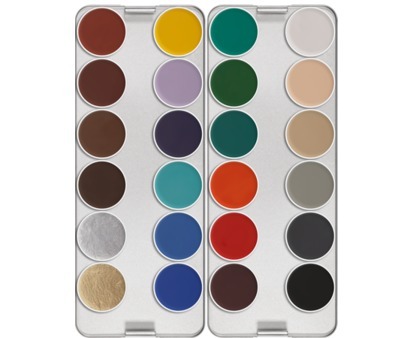 Aquacolor Palettes 24 Colors are ideal for multifarious creations. ECARF certified.